The King’s bishop? What did John Russell know in 1483? These bishops will be familiar names to students of the Wars of the Roses and especially to Ricardians: John Russell Bishop of Lincoln, Robert Stillington Bishop of Bath and Wells, Thomas Langton Bishop of St David’s and later of Salisbury and John Shirwood Bishop of Durham. All these clerics served previously under Lancastrian and Yorkist kings; none could be described as Richard’s friend, and all were men of great learning and piety. Russell was the Lord Chancellor from 1483 until 1485; Stillington was, for a time, Lord Chancellor to Edward IV. It was Stillington who is purported to have reported Edward IV’s earlier marriage to Eleanor Talbot (the ‘pre-contract’). Shirwood owed his bishopric to Richard’s preferment. He was an early English humanist, an avid collector of classic Greek and Roman literature and a protégé of George Neville. During Edward IV’s reign his loyalty was suspect. King Richard, who thought better of him, appointed Shirwood as envoy to the Vatican. Bishop Langton was also appointed at Richard’s behest. He was a borderer and accompanied Richard in his first royal progress, writing approvingly of him to the prior of Christ Church Canterbury. 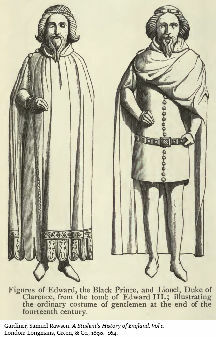 After Bosworth, Stillington was arrested for his part in Richard’s accession and then pardoned. Russell and Shirwood, however, continued in royal service; Russell, as a diplomat and Shirwood as envoy to the Vatican. Langton actually flourished under the first Tudor king, reaching the dizzy height of archbishop elect of Canterbury shortly before his death in 1500. Yet none of these men denounced Richard as a regicide or said anything about the disappearance of Edward IV’s sons, not even when it was a safe to accuse him of practically anything. Given the antipathy in the Tudor narrative towards the last Plantagenet, their silence is curious feature of the most famous of all English historical mysteries. It is, of course, a moot point whether the bishops actually knew anything about what was happening to Edward’s sons in 1483. With the exception of Russell, none of them were at the centre of Richard’s government. Dr Tudor-Craig points to the chance that they might have known what was happening through a possible friendship between Shirwood and Dr John Argentine. It remains, however, no more than a possibility. The only known copy of Shirwood’s ‘Mathematical Game’ (no.106) is of particular relevance to this exhibition since it belonged to John Argentine, Edward V’s physician who gave such a foreboding report of his charge to Mancini. Argentine may well have been an Italian and he was an industrious collector of books. The strong possibility that he knew Shirwood during the summer of 1483 in London reduces the likelihood that these distinguished prelates could have accepted patronage at Richard III’s hand in ignorance of the true state of affairs. Either Argentine’s words as reported by Mancini were not meant to carry a sinister gloss, or the clerics had accommodating consciences. Be that as it may, there was certainly one among them who was well placed to know the truth. It is likely that John Russell the Lord Chancellor was privy to Richard’s intention towards his nephews. Judging from the surviving signet and Chancery letters, their working relationship was close. Richard trusted Russell to deal with secret/confidential matters of great delicacy and moment, even those that occurred during his royal progress. Such trust is all the more remarkable since it appears that Russell was not, as some suppose, a trimmer or tame Ricardian but an outspoken critic of the petition presented to Parliament in 1484 setting out Richard’s royal title and also of Titulus Regius in the form it was enacted, and indeed, of the turbulence leading to Richard’s accession. It is not my intention to go into that issue now, since it is beyond my scope. I will confine myself to exploring Russell’s relationship with his king through three surviving letters from their correspondence. Obviously, the subject and the content of each letter is important because they each touch on events taking place between summer and autumn 1483, which is the critical period for analysing the disappearance of the two princes. All the same, they cannot be considered in a vacuum that ignores Russell’s constitutional position as Lord Chancellor and the evolving realpolitik of the times. I need not describe the course of events between Edward IV’s untimely death in April 1483 and the bastardization of his heirs in June, since they are well known and, in any case, do not add to the substance of my argument. What matters from my perspective is Russell’s reaction to those events. For my purposes the narrative begins after lunch on Friday the 13 June 1483. William Lord Hastings had just been summarily executed on a convenient log for (it is alleged) plotting to kill the Lord Protector and Henry Stafford Duke of Buckingham, his henchman. The Archbishop of York (Thomas Rotherham), the Bishop Ely (John Morton) and assorted others have also been arrested. And there is panic on the streets of London. On the Monday following, the Queen was persuaded to allow her youngest son Richard the duke of York, the heir presumptive, to leave the sanctuary of Westminster Abbey to attend his brother’s coronation. That afternoon in council the coronation was postponed. The alarm of Londoners following these events is tangible and it seems from the evidence of two independent sources that the Chancellor John Russell was also deeply troubled by the turn of events. The first source is an undated memorandum written by George Cely, an English wool merchant, which must have been written between the 13th and 25th of June 1483. It contains the key description of Russell’s mood: ‘There is great rumour in the realm. The Scots have done great [harm] in England, the Chamberlain is deceased in trouble, the Chancellor is desperate and not content, [my emphasis] the bishop of Ely is dead, if the king, God save his life were deceased, the duke of Gloucester were in any peril, if my lord prince, whom God defend were troubled, if my lord of Northumberland were dead or greatly troubled, if my Lord Howard were slain. These strictly contemporary accounts do not support the conclusion that Gloucester’s actions marked the opening moves of usurpation. Even less do they justify Dr Alison Hanham’s (surprisingly defensive) proposition that ‘even the most committed Ricardian must agree that it was a time of alarms and uncertainties when the suspicions of Richard’s intentions previously disseminated by the Woodvilles must he seemed to many to receive confirmation.‘ The implication that Londoners feared Gloucester’s actions were the prelude to a coup d’état and the insinuation that Russell shared their anxiety is simply not true. There is no doubt that there was a great commotion in the capital over the weekend of the 14 and 15 of June and in the week that followed, with armed gangs on the street. However, Londoners in general did not see the threat as coming from Gloucester but from Woodville inspired conspirators. The Cely memorandum is explicit on this point. And there is nothing in Stallworth’s letter to gainsay the view that the public feared the ambition of the Queen and her Woodville kin whom they blamed for the unrest. Professor Michael Hicks — a renowned anti-Ricardian — also believes that the citizens did not at this time fear Gloucester’s motive; indeed, they supported his actions against the conspirators. Hicks rejects Mancini and the other vernacular chronicle accounts as hindsight, preferring to rely on the events that followed as a better guide to public opinion of Richard in May and June. It would seem that despite Professor Ross’ assertion that we only have Gloucester’s word for the Hastings conspiracy, people believed that he and the king were threatened in June 1483. Russell was not a neutral observer of these events, he participated in them; to that extent he was partisan. He neither liked nor trusted the Woodvilles. He believed that if they were allowed to control the king it would result in civil war and disorder. Russell craved unity not division. All of this is clear from the sermon he drafted for Edward V’s abortive first parliament, in which he set out the Council’s plans for minority governance after Edward’s coronation. It was intended to continue the protectorship after the king’s coronation and exceptionally to invest Gloucester with regency powers. This would of course have been in accordance with the earlier view of the ‘more foresighted’ councillors that the King’s maternal uncles and stepbrothers should be ‘absolutely forbidden’ from having control of the monarch before he reached his majority. It would seem from Russell’s extant draft that having examined the Woodvilles suitability for government he found them wanting. He writes, for example, ‘Then if there be any certainty or firmness in this world, such as may be found in Heaven, it is rather in the islands and lands environed with water than in the sea or any great rivers (an allusion to Anthony Woodville, Earl Rivers)’. Further on we have this: ‘And therefore the noble persons of the world, which some for the merits of their ancestors, some for their own virtues being endowed with great honours and possessions, and riches may be conveniently resembled unto the firm ground that men see in Islands (an allusion to Gloucester and to England) than the lower people, which for the lack of such endowments, not possible to be shared among so many and therefore living by their casual labours be not without cause [compared] to the unstable and wavering running water: aque multe populus multus (a lot of water, a lot of people)’. Towards the conclusion, he extols the Lord Protector’s virtues; ‘…The necessary charges which in the kings tender age must needs be borne and supported by the right noble and famous prince the duke of Gloucester his uncle, protector of this realm. In whose great puissance, wisdom and fortunes rests at this season the execution of the defence of the realm as well against open enemies as against subtle and faint friends of the same.’ However, this sermon was never delivered due to the dramatic events that occurred between the 22 and 26 June. On Sunday the 22 June, Edward IV’s heirs were denounced as bastards. Three days later, Gloucester was offered the throne. The next day he was king. I now turn to the relevant correspondence. This is not a routine letter. Judging by the last sentence, Richard is responding to what he believes is an emergency at Westminster. He does not name the conspirators or the nature of their offence because he assumes Russell knows what he means. The implication being, of course, that this matter was secret and the detail could not be committed to paper. It is for that reason that historical interest in the letter has largely concentrated on the search for answers to the inevitable ‘who’ ‘what’ and ‘why’ questions that arise. Important though those questions are, I need not answer them here, since others have already done so. It is useful, nonetheless, to outline the options considered. Dr Tudor-Craig submits several possible motives for the letter. First, it might have related to an attempt to remove Edward’s daughters from sanctuary and take them overseas out of Richard’s reach. The Crowland Chronicle reports the rumour of such a plot, which caused the King to strengthen security around Westminster Abbey ‘so that the whole neighbourhood took on the appearance of a castle or fortress’. John Nesfield, who was captain in charge of the operation, ensured that no one could get in or out without his permission. Dr Tudor-Craig rejects that possibility, however, on the ground that ‘The tenor of the letter suggests that the criminals had accomplished their deed, even though they had been caught, and yet the princesses remained in sanctuary’. Alison Hanham challenges that proposition; she argues that they were arrested before the fact and not afterwards. Her point being that the word ‘had’ (as opposed to ‘have’) suggests that the plot had not come to fruition. If one accepts Dr Hanham’s construction of the letter it would seem reasonable to suppose that the plot to send the princesses overseas remains a possibility. However, such a plot hardly warrants a surreptitious letter of this kind since according to Crowland it was almost certainly common knowledge in London anyway. A similar point could be made in relation to Dr Tudor-Craig’s second possibility: that it concerned mistress ‘Jane’ Shore. I think we can safely dismiss this on the ground that there was nothing secret about her activities. Dr Tudor Craig’s third and final possibility is that it relates to the disappearance of the two princes. Unfortunately, she does not look beyond the possibility that they were murdered. Such a plot would certainly require secrecy. The problem with this, however, is that Richard’s instructions to Russell to discuss the matter with the council and proceed according to the law are incompatible with secrecy. Dr Tudor-Craig recognized this problem but is nonetheless unable to disregard Thomas More’s assertion that the murder of the princes was ordered when Richard was at Gloucester, which he must have reached soon after this letter was written. Dr Tudor-Craig also sees significance in the parting of the ways between the King and Buckingham, which also occurred around this time and which she suggests might have been the result of a policy disagreement about what to do with ‘the certain persons who had taken upon themselves the fact of an enterprise’. If her hypothesis is right it certainly adds credence to More’s account and also to the fears expressed for Edward V’s life reported to Mancini before he returned to France. 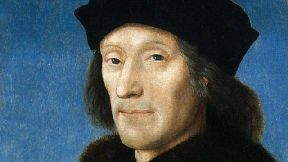 Speculation that Lady Margaret Beaufort was involved in this conspiracy as the Woodville’s price for restoring Henry Tudor to his English dignitaries, is rejected by Professor Hicks on the ground that the link between the Beauforts, ‘the fact of a certain enterprise’ mentioned in the letter and the trial mentioned in Stowe is too tenuous to accept as evidence of the fact. Certainly corresponding with Richmond was not per se treasonable (at this stage) and it seems from Hicks’ researches that there is no record of a commission of oyer & terminer or a trial, or even an indictment against these men. He postulates that although such a plot probably existed at this time, we do not have details of it. Fortunately, I need not choose between these theories, since I am only concerned with Russell’s state of knowledge. Ironically, if the letter does relate to the boys’ murders, its tone and content tend to absolve the King from complicity. His instruction to bring the matter before the council and to judgement according to the law is only explicable on the basis that he was innocent and had nothing to hide or fear from a public airing of the facts. In that eventuality, Richard’s guilty secret would not be secret for very long. Alternatively, if the letter refers to a plot to remove the princes from the Tower, then it can be seen as a standard response to a treasonous threat to the crown. Of course, if such a plot existed, it confounds the contemporary suspicion that Edward V was dead before Mancini left England and demolishes More’s account of events. Either way, this letter raises some important questions about the state of Chancellor Russell knowledge, since he can hardly have been ignorant of the true state of affairs concerning the well-being or the fates of Edward IV’s sons in July. It also raises the questions of why Russell appears not to have been interrogated by the Tudor regime as to his knowledge of the fate of the princes or why there is no contemporary English accusation against King Richard. I am referring to this this letter for two reasons; first, it gives us a brief but revealing ‘flash’ of Richard’s character and second, it gives rise to an equally illuminating difference of opinion between two of Richard’s many biographers; a difference of opinion, which, I might add, exhibits all the emotional prejudice that afflicts so much of Ricardian literature. In his generally sympathetic biography of Richard III, Professor Paul Kendall uses this letter to illustrate Richard’s empathy with his fellows: ‘The harmony he never achieved within himself he did not cease to desire for others.‘ Richard’s use of vibrant phrases such as ‘marvellously blinded and abused’, and ‘to our full great marvel’ are testament to his astonishment and not his admonishment that his sober and correct solicitor should fall for the charms of the (no doubt) enchanting but wayward Jane Shore. It is difficult to explain two such conflicting interpretations of the same letter. Ross represents the modern school of traditionalist historians who resist revisionist re-interpretations of Richard’s character. It seems obvious to me that he is entranced by the ‘delectable’ Mistress Shore whose virtues he extols at Richard’s expense. Professor Kendall writes more benevolently of Richard’s behaviour; though he has an occasional tendency to make excuses for him. His biography is now considered out of date by the academic establishment; nonetheless, it remains for me the most balanced and well-written account of King Richard’s life and reign yet published. Its strength is Kendall’s systematic use of BL Harleian Manuscript 433 to explain the events of 1483-85. Furthermore, professor Ross’ conclusion is based on a partial quote from the letter, starting at its beginning and ending with Richard’s comment ‘we, for many causes, would be very sorry he should be so disposed.’ This gives the false impression that King Richard was minded to prohibit the marriage because of his displeasure with Lynom and his vindictiveness towards Mistress Shore. Thus, Ross uses the letter as an example of Richard’s vindictive character. However, if one reads the whole letter, the absurdity of his argument becomes apparent. Indeed, there is nothing in the letter — even Ross’ edited version — that justifies his adverse characterization of Richard: quite the opposite in fact. The letter is remarkable for its informality, Richard’s colourful language and his lightness of touch in dealing with the situation. He comes across as a concerned friend rather than an angry monarch. He has every reason to prohibit this marriage but his desire to do the right thing outweighs any animus he feels towards Mistress Shore. For Richard ‘doing the right thing’ means trying to save Thomas Lynom from his folly, which is why he asks Russell to urge him in a ‘goodly’ manner to think again. But if Lynom is ‘utter set to marry her and not otherwise’, then Richard consented. The letter is not indicative of a cruel or vindictive man. Its relaxed tone suggests that the king trusted his Chancellor and that they had a good rapport. After taking these factors into account, I prefer Kendall’s interpretation of the letter. It is obvious that Richard and Russell were in touch and that Russell was aware of the King’s plans. Since Russell cannot bring the Great Seal himself owing to his illness, Richard added a postscript in his own hand (my emphasis above). It is one of the most revealing documents of Buckingham’s rebellion. Dr Louise Gill considers that Richard’s request was unusual ‘since it put full control of the government in his hands‘ and implies that he no longer trusted his Chancellor. Personally, I think Dr Gill’s appraisal of the situation is mistaken for two reasons: in the first place it is not supported by the facts and in the second place it offends against common sense. It was not in fact unusual for the Great Seal to be commandeered in times of crisis. Richard and the Council had done so in April/May 1483 after the then Chancellor, Thomas Rotherham archbishop of York, had improperly handed it to Elizabeth Woodville following the arrests of Earl Rivers and others. Richard was to call for it again in July 1485 when he was threatened by Henry Tudor’s invasion. The Great Seal was an instrument of strategic importance, to the king since it authenticated royal commands, documents and proclamations. Its close control was desirable at all times but absolutely essential when, as here, rebels aimed at deposing the king. If the king was at Westminster there was no problem, but King Richard was 150 miles from Westminster and his enemies were strategically placed to put themselves between him and the capital. He believed that the threat to him was mortal; Russell was well aware of this and of Richard’s plans from previous correspondence. Naturally, Richard wanted control of the Great Seal to authenticate his rule but just as importantly to deny it to his enemies. Similarly, the suggestion of a breakdown of trust between Richard and Russell does not bear close examination. Richard was many things but he was not stupid; it is inconceivable that he would entrust his plans ‘at large’ to someone he didn’t trust. There is also the evidence of Richard’s postscript wherein he expressed his faith that Russell would send the Great Seal to him. Its possession was of such overwhelming importance to Richard, and secrecy was so vital (There are obvious risks to it being carried by a single horseman.) that he is equally unlikely to have entrusted that task to anyone he didn’t trust. A distrustful Richard would probably have sent one of his own men of action to take possession of the seal. Indeed, in May, as duke of Gloucester, he sent his personal Herald to take it from Rotherham. If we judge men by their actions, the fact that Russell complied with the king’s wishes with such alacrity and that the Great Seal was later returned to him (Russell) before witnesses in the Star Chamber is a clear indication that the Lord Chancellor retained the king’s trust and confidence. 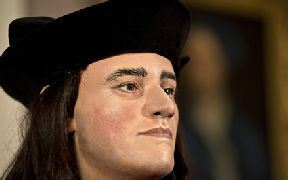 Although many people suspect Richard III of doing away with his nephews, suspicion is not evidence and there is no evidence that he murdered them or, indeed, that anyone murdered them. I do not know the princes’ fate and neither does anybody else. Nor do I pretend that these letters offer a solution to the mystery, since they leave too many unanswered and unanswerable questions for that. But they do sharpen our silhouette of England’s most enigmatic king and his relationship with his first minister of state during the crucial period of 1483-85. And they add substance to a neat epigram about those events, which I read somewhere. Those who knew most said least; those who knew least said most. Quite what Holmes might have deduced from this correspondence is difficult to say, since he famously eschewed theorising without data. Of course, his prospect of solving the mysterious disappearance of the two princes would undoubtedly be enhanced if only John Russell was available to be interviewed. CJ Armstrong (Ed) – The Usurpation of Richard III by Dominic Mancini  (Oxford 1969 edition) pp. 93 and 127 note 89. Mancini wrote: ’The physician Dr Argentine, the last of his servants whose services the king enjoyed, reported that the young king, like a victim prepared for sacrifice, sought remission of his sins by daily confession and penance, because he believed that death was facing him’. Armstrong argues that Dr Argentine and Mancini were well acquainted: they were social equals and Argentine spoke fluent Italian (pp.19-20). Tudor-Craig p.44; Shirwood wrote ‘De Ludo Arithmomachia; De Ludo Philosophorum; Ludus Astronomorum’ (Treatise on a Mathematical Game) in about 1475. Tudor-Craig postulates that Shirwood personally gave Dr Argentine a copy of his treatise in London during the summer of 1483. S B Chrimes – English Constitutional Ideas in the 15th Century (Cambridge 1936) pp.168-78; Chrimes reproduces all three of Russell’s draft speeches. Hanham (Ricardian) p.236: Hanham describes the word ‘had’ as ‘a subjunctive accusation of past possibility or past unreality…plainly they had been stopped before they could put their alleged plan into effect’. See also Hicks (Unweaving the web,,,), passim. 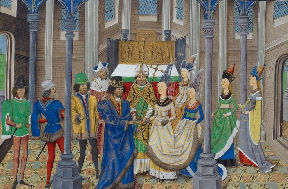 Mancini left England shortly after Richard’s coronation (6 July 1483). Interestingly, he records only a suspicion that Edward V was ‘done away with’; he does not record any suspicion about the fate of the duke of York who was heir presumptive. The other interesting point is how this squares with the Cely memorandum, which expressed fears for the lives of king Edward V, his brother the Duke of York and his uncle the Duke of Gloucester. R Horrox and PW Hammond [Eds] – British Library Harleian Manuscript 433 in four volumes (Sutton Publishing and the R3S 1979); it contains the strictly contemporary Register of Grants and Signet Letters written during Richard III’s reign and passing through Russell’s hands. 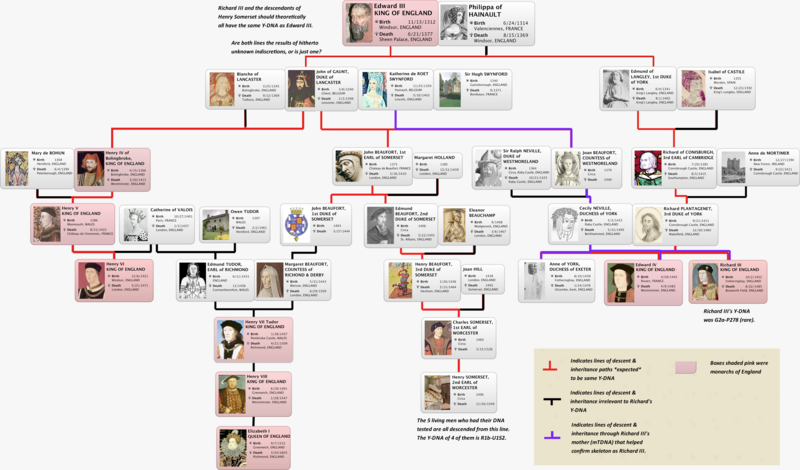 Where did the Tudors come from….? For those of us who may wish to know where the name Tudor comes from, here’s a thorough explanation. Henry VII’s iffy Beaufort claim…. There is always a howl of outrage if fingers are pointed at Katherine de Roet/Swynford and John of Gaunt, and the legitimacy of their Beaufort children is called into question. The matter is guaranteed to end up with someone’s digit jabbing toward Richard III. Why? Because in his proclamation against Henry Tudor, Richard derided the latter’s claim for relying on his mother’s Beaufort descent. Initially, the Beauforts were clearly illegitimate. Their parents were not married at the time of their birth, and even if Katherine’s first husband, Sir Hugh Swynford, was dead, Gaunt’s second wife, Constance of Castile, certainly was not. The union of Katherine and Gaunt was adulterous. In those days a late marriage did not legitimise children born before the belated wedding vows. Unless one acquired a convenient papal bull, of course. Which Gaunt was quick to do on the death of his second duchess. He married Katherine, and Richard II was persuaded to make their offspring legitimate. Well, the pope’s invention had made them so anyway. Richard II merely tidied it all up. But on Gaunt’s death, a spanner was thrown into the works. Henry IV (Gaunt’s very definitely legitimate heir through the duke’s first marriage to Blanche of Lancaster) made it very clear indeed that even though they had belatedly been made legitimate, they were excluded from the throne. And he was their half-brother! He was also a trueborn Lancastrian, his mother having been Blanche of Lancaster, the great Lancastrian heiress. Blanche was the daughter of Henry of Lancaster. It was through her that Gaunt became Duke of Lancaster. Gaunt himself was not a Lancastrian, he merely acquired the title through marriage. So any children he had with anyone other than Blanche of Lancaster were not true Lancastrians. If Henry IV was empowered to make this stipulation, which clearly he was, then he was determined to deny the throne to the Beauforts. No question about it. Yet, late in the 15th century, along came Henry Tudor, presenting himself as Earl of Richmond and the Lancastrian heir. Yes, he descended from John of Gaunt (3rd son of Edward III), but through the Beauforts, whose legitimacy was suspect to say the least, and who had anyway been barred from the throne by Henry IV. This was the basis of Henry Tudor’s challenge for the crown of England. No wonder than when push came to shove, on miraculously/treacherously defeating Richard III at Bosworth, he wisely made his claim through conquest! The Beaufort side of it was a little too dodgy, and he knew it. Conquest, on the other hand, was plain, simple. . .and unchallengeable. Joan Beaufort, 2nd wife of Ralph, 1st Earl of Westmorland. But, I hear you cry, Richard had a Beaufort in his ancestry! Yes, he did, Joan Beaufort, Countess of Westmorland, daughter of Katherine and Gaunt. No disputing the fact. I make no bones about it. However, Richard didn’t claim through Joan. His descent came from two of Edward III’s other sons, Lionel of Clarence (2nd son) and Edmund of York (4th son). The two lines were subsequently united when Richard of Conisbrough (York) married Anne Mortimer (Clarence). 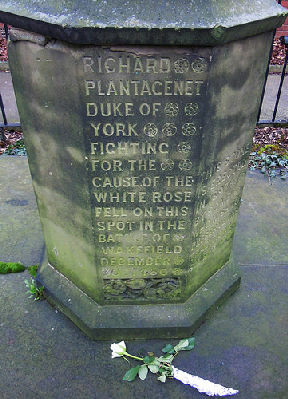 Their son, Richard, 3rd Duke of York, became the father of both Edward IV and Richard III, No link to any Beauforts. 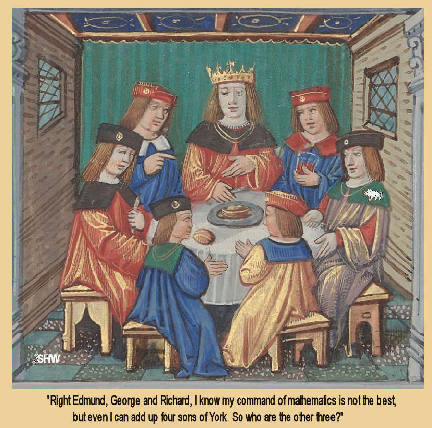 There was nothing iffy in Richard’s descent, unless one wishes to challenge the fact that Edmund of York was his progenitor. The then Duchess of York was said to be frisky, and a certain Duke of Exeter was supposedly her lover, which, if true, made Edmund’s, er, input, a little questionable. 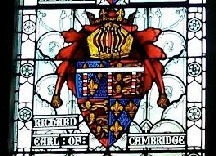 But Richard of Conisbrough was accepted as Edmund’s son, and even if the rumour about Exeter and the duchess were true, it still leaves Richard III’s descent from Lionel, Duke of Clarence, whose position as Edward III’s second son was superior to Gaunt’s, the latter being only the third son. So there you have it. When Richard III derided Henry Tudor’s Beaufort descent, he was spot on. It was Tudor’s only claim, and placed him on thin ice. Which was why he vowed to marry Elizabeth of York (to benefit from her Yorkist lineage), and then claimed the throne through victory in battle in 1485. Richard wasn’t lying or conveniently forgetting anything. Yes, he had a Beaufort in his ancestry, but he didn’t claim anything through that line. His descent from Lionel of Clarence and Edmund of York was considerably stronger than anything Henry could produce. Spare me your howls of outrage. Katherine Swynford and John of Gaunt were deeply in love, there is no doubt of that, but in the beginning it was an adulterous romance on Gaunt’s part. Maybe on Katherine’s too, although that seems less likely. Not impossible, though. So the Beauforts were illegitimate, legitimate, forbidden the throne. In that order. Henry Tudor of the House of Beaufort had his eyes on that very thing, the crown of England. Gaunt himself probably wanted his children by Katherine to be in line for everything, and he schemed to exclude the female line—in order to negate any claim from the descendants of his elder brother, Lionel, who left a daughter. Gaunt also claimed the throne of Castile through his own second wife. How very selective of him. Do not point your bony fingers at Richard for not mentioning his Beaufort blood. Why should he refer to something that was of no importance to him? So he focused instead on Henry Tudor, to whom that dodgy Beaufort blood provided an only link to English royalty? Take away the Beaufort element, and Henry Tudor had nothing whatsoever to bolster his claim. Richard’s claim, on the other hand, was not in the least reliant on the Beauforts. He was the rightful King of England. The only rightful king! 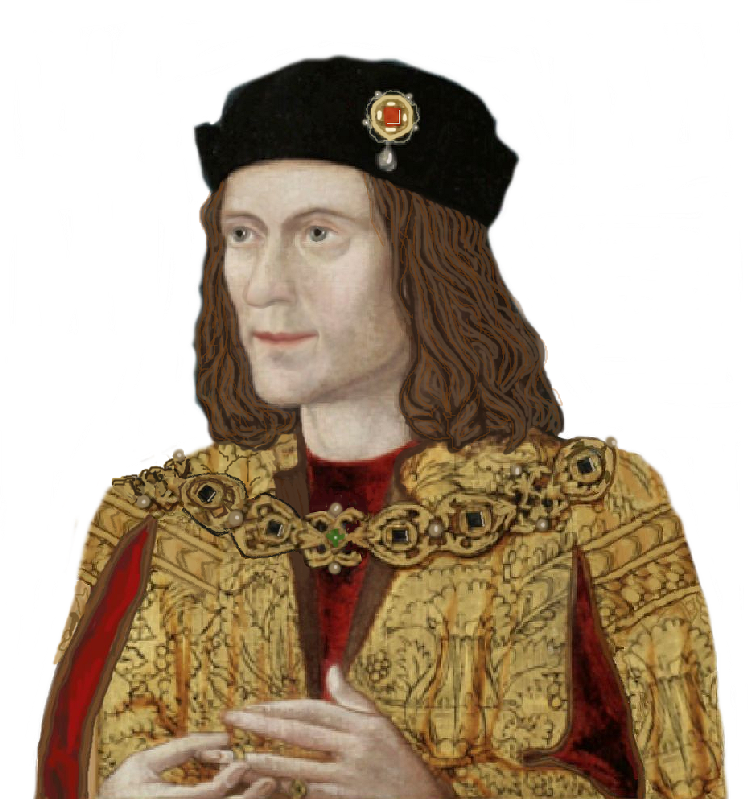 http://www.richardiii.net/downloads/bulletin/2007_06_summer_bulletin.pdf In the article by David Candlin, page 22, are full details of Richard’s proclamation against Henry Tudor. Richard claims that Tudor’s Beaufort line was begotten in double adultery. He may have believed that Katherine Swynford’s first husband, Sir Hugh Swynford, was still alive when she began her affair with Gaunt. Whatever, adultery was certainly involved, which made the children illegitimate. Was Henry VII always so clever….? Yet again, I tell you the old story of looking for one thing and happening on something else. This time an article that questions the ultimate effectiveness of Henry VII’s reign. Well, rather it raises questions that historians don’t seem to have asked before now. It is well worth reading, especially as there are links to other articles for those who follow our period.